Royal Leamington Spa’s new Mayor is Cllr Heather Calver. She was elected to the post and took the mayoral chain at a ceremony at the Town Council's annual meeting on Saturday 12th May. 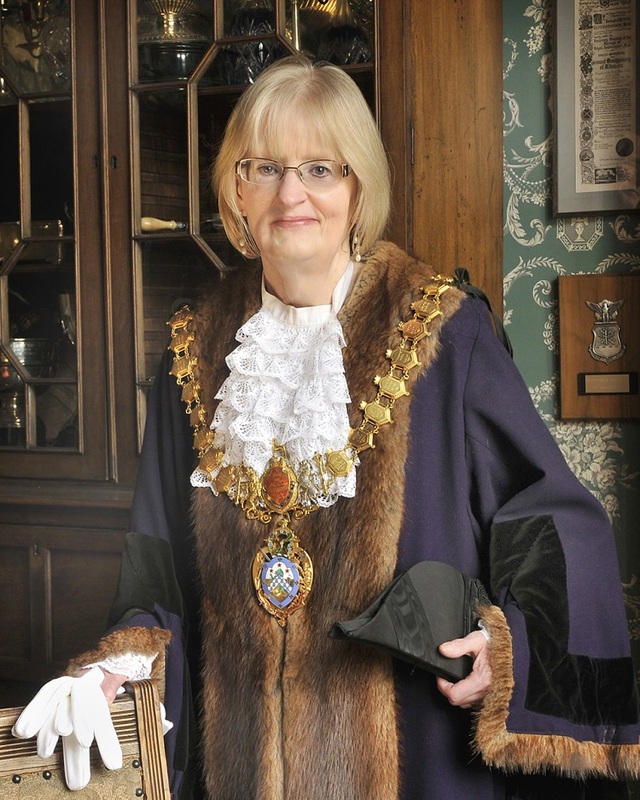 The new Mayor describes Leamington, the town she will represent for 12 months, as a “wonderful Royal Town with its beautiful Regency architecture and elegant parks”. Cllr Calver has a special interest in the charities she has chosen to support. Firstly the Head and Neck Cancer Foundation that raises money for research into what she describes as a Cinderella type of cancer, not as well-known as say breast or bowel cancer but one that can profoundly affect sufferers”. Her other chosen charity, close to her heart, is the Mencap Valley Road Respite Centre, which is in Lillington. It provides short breaks for adults with Learning Disabilities giving their parents or carers time to recharge batteries to enable them to continue their supporting role, and provides the service users themselves with new, valuable, experiences. The Mayor is available to attend local events in her role as first citizen. It is advisable to provide at least 2 weeks' notice in order to secure her attendance. The next charity event will be held on Saturday 13th April 2019 where the Circle Singers of Royal Leamington Spa will be holding "Play-List" an eclectic mix of amusing and light hearted music at Dale Street Methodist Church, Leamington Spa, CV32 5HL at 7.30pm ticket are £10 with light refreshments at interval.